Missouri Files Lawsuit Over Crop Insurance Deadlines | The Voss Law Firm, P.C. This year’s intense storms, flooding, and heavy rains had many Missouri farmers still scrambling to plant their fields well into July. However, despite the unusual severe weather causing the delays, they are still being held to the same deadlines for crop-insurance reporting. Because of this, up to 60 percent of the state’s farmers may miss an important time limit and miss out on their eligibility for crop insurance. Governor Jay Nixon, however, believes that the USDA should give the state’s farmers a break for circumstances beyond their control. The federal government requires farmers to report their total crop acreage by a certain deadline each year in order to be eligible for its crop- insurance program. If they fail to report, then they become ineligible for the crop insurance that they depend on. This year, the federal reporting deadline fell on July 15th, but the majority of farmers in Missouri were unable to report their acreages because planting had been pushed so late in the year due to the weather. In fact, some farmers were still actively planting at the time the deadline fell. Many of the farmers who were able to report were only able to do so because they planted just a percentage of their fields. The lawsuit was officially filed on the evening of Wednesday, July 15th, 2015, by Attorney General Chris Koster. Do You Need Help With a Complicated Crop Insurance Claim? 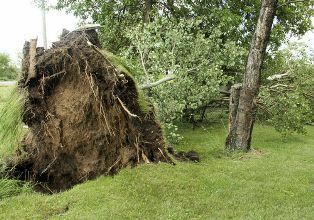 Do you have questions about a crop insurance claim or what to do after severe weather damages your farm? Don’t let what you don’t know about agricultural insurance wreck your farm’s future. Instead, reach out to the Voss Law Firm today for a free, no-obligation case review, or request a free copy of our helpful book, Understanding Agricultural Insurance Claims.